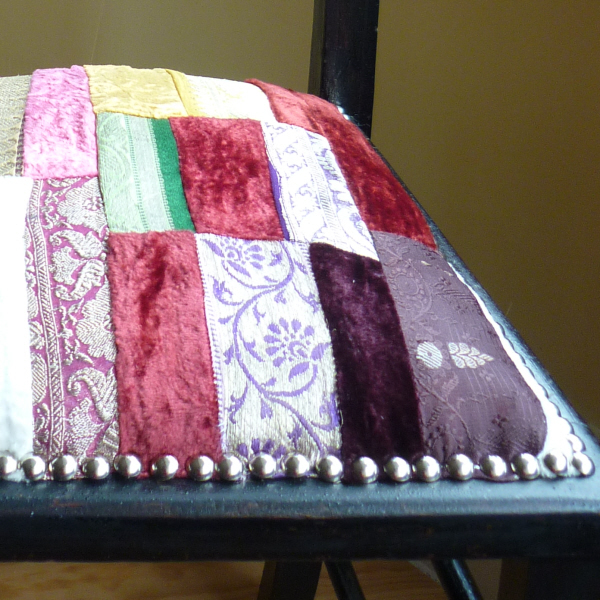 This fairly traded velvet patchwork fabric is exclusive to Furniture Divas, making this chair and fabric completely unique. 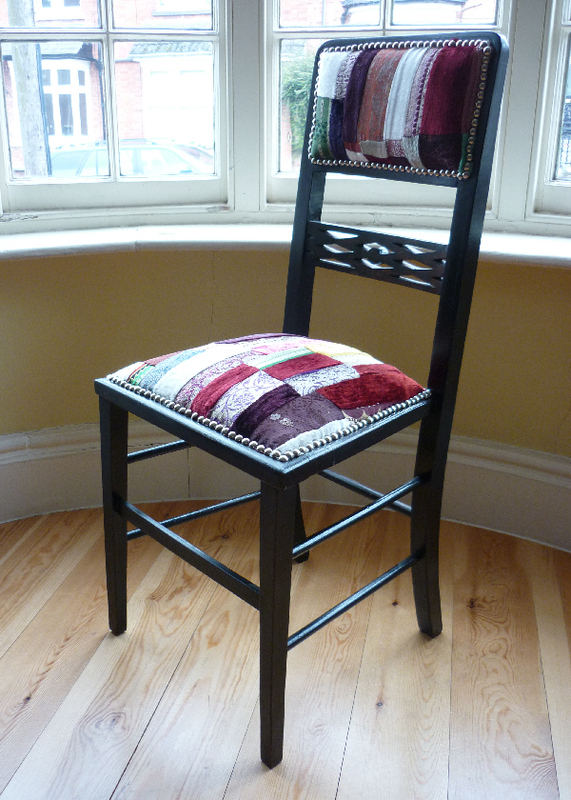 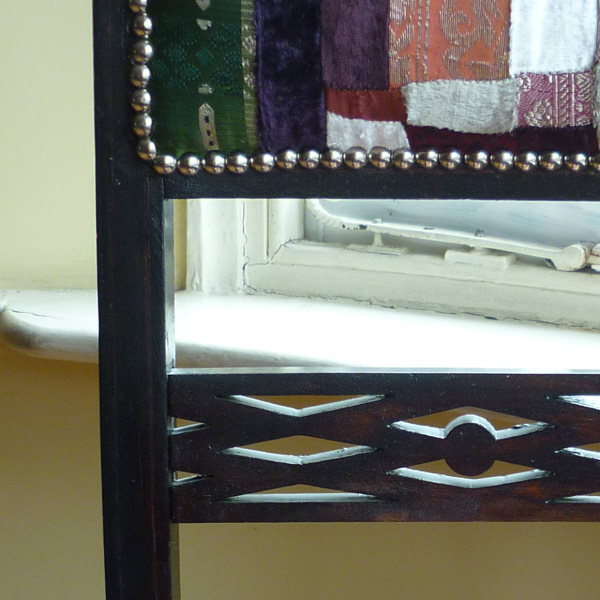 We love the impact of the velvety patchwork with the silver stud finish and dark wood. The patchwork fabric is made in India from reclaimed fabrics.